LOOK NO FURTHER BEACH HOUSE !!! 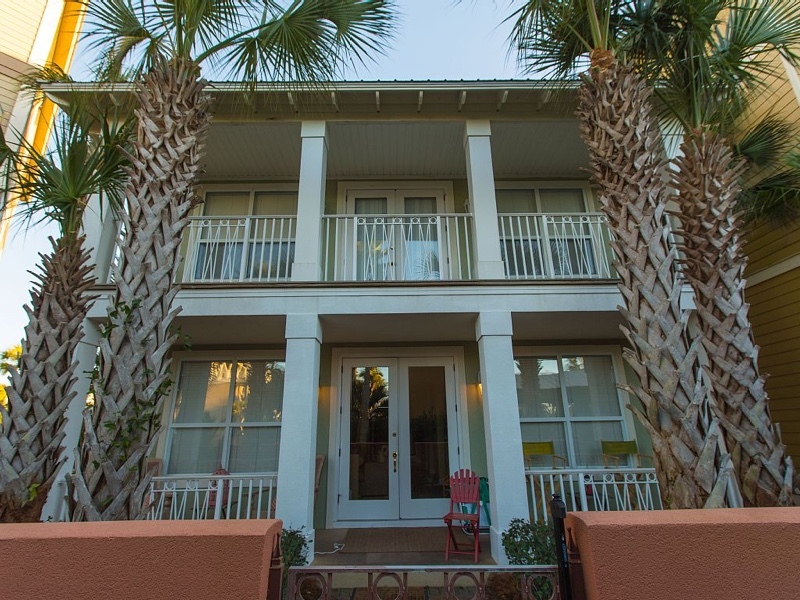 Our 4 bedroom 3 bath beach house sleeps 2-12 comfortably and is right on the Seacrest Pool Deck! That’s Right, your own private gate onto the award winning 12,000 square foot lagoon style multi-level pool with waterfalls and waterscapes! we are one of only ten homes that sit right on the pool deck with a private gate. Location, Location, walk to the beach or take the free shuttle right from your door. New High Def “Smart TV” for 2015. bring your Amazon & Netflix accounts. Walk to great shops, coffee bars, restaurants, Rosemary Beach, Alys Beach. Bring your bikes and take the bike trail to famous Seaside for lunch or shopping. Seaside is home to several movie stars and it is where the movie ‘The Truman Show’ was filmed. you’ll love our colors. Done in bright pastel colors, you’ll know your on vacation the minute you walk through the door. Fun, Bright & Beach! You’ll call the master bedroom home once you discover it. A huge room with over 800 sq. ft.Features a garden/jacuzzi bath and a 50 inch flat panel tv,and your private porch overlooking the huge Seacrest Pool.Stop your search, you’ve found your next vacation home!! Please call or text the owners, Dave and Jill, at (513) 582-4649 for some great promotional rates and availability. Always ask about last minute specials. Please call or text the owners, Dave and Jill, at (513) 582-4649 for rates and availability.